The holiday season is really just around the corner… I usually consider Halloween to be the starting line of the season and it’s fast approaching. 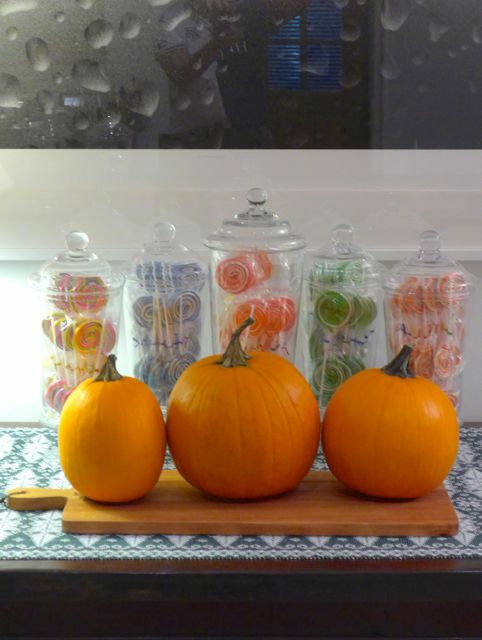 But we are ready and these are some of the goodies we have in store… Several medium sized pumpkins sit on buffet tables and other parts of the house. 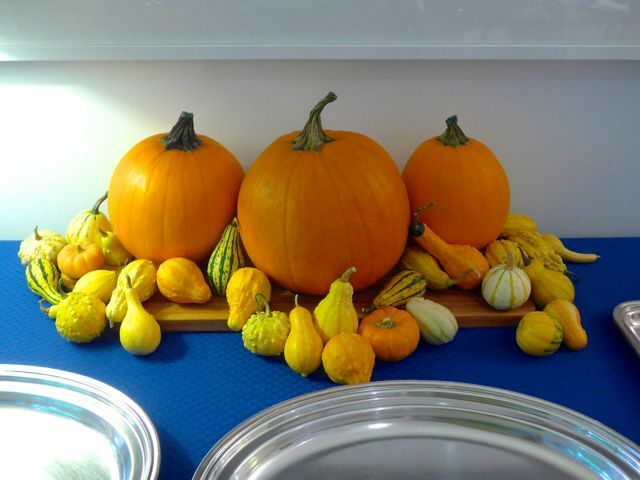 Unusual gourds are also on our dining table. 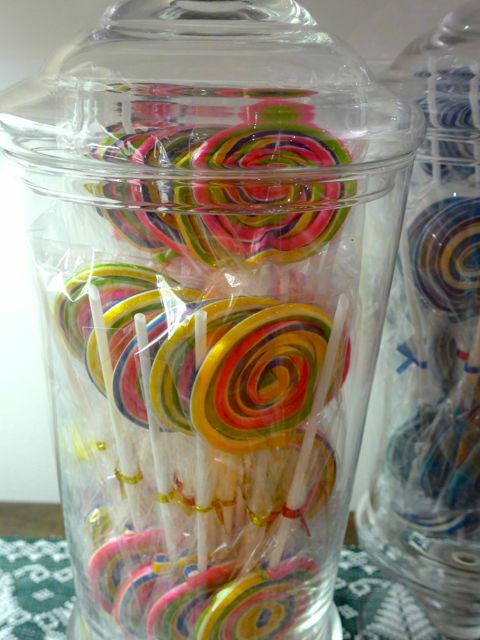 But this year’s find are these amazing hand-made traditional lollipops that come in an incredible array of colors. They are quite airy and brittle, but they are locally made and they remind me of a lot of the candy that was available when I was a kid. I was so surprised to find them and stocked up on practically ever color they had on offer. Still life with pumpkins and gourds. How’s this for an “adult in a candy store” set-up? Yup, there is still a lot of kid in Marketman. I could literally own and run a candy store if the right opportunity came up! That’s the maple leaf apple pie on the dessert buffet. The other two platters were for pecan bars and pumpkin pie bars that I forgot to photograph. 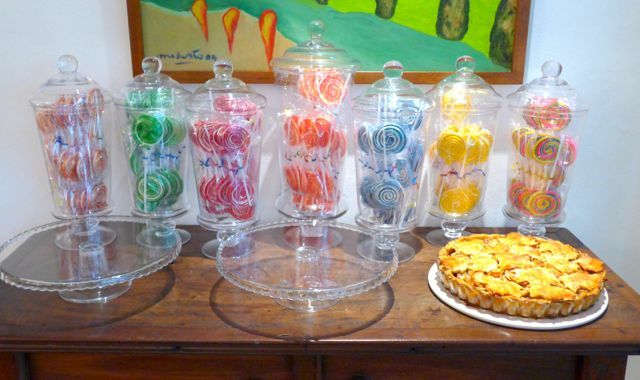 Our dinner and house guests’ reaction of the traditional lollipops was so positive that I ordered another few hundred halloween colored lollipops and stuck them in our Zubuchon outlets in Cebu (warning, the breakage in transport is significant!) and they are selling like hotcakes… so nostalgic candy is appealing to more than a few folks. 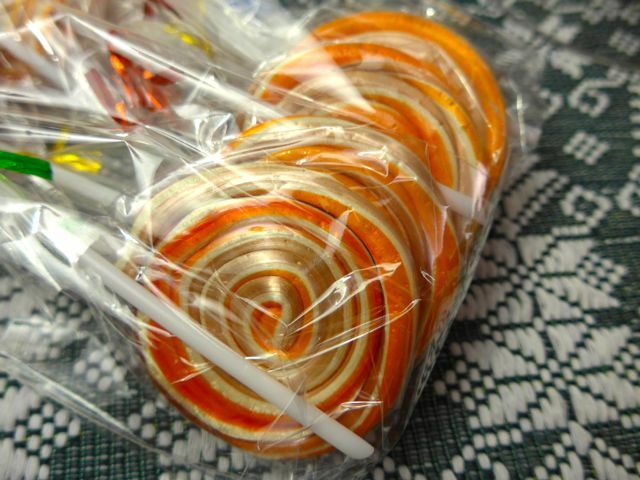 I ate a couple of these lollipops to make sure they were edible and they actually taste pretty good, with a bit of mint oil or other flavoring and they are very light (meaning made with less sugar but “pulled” more) and airy. I was originally planning to use them for a really extravagant roofing material for the gingerbread house this year, but maybe I will just give them out to the hundreds of trick or treaters in our area on Halloween. Hi! 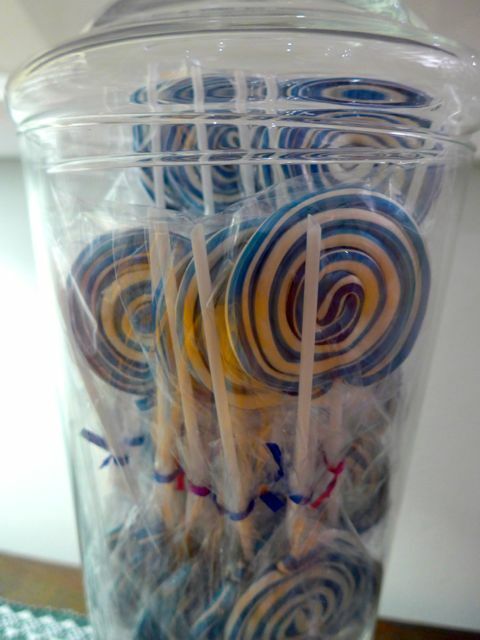 Could you please share where we can buy those lollipops ? :) Thank you! Can’t wait to see your Halloween “pakulo” this year, MM. :) I’m remembering the pictures from your free ice cream surprise. I’m sure it gets more challenging every time. Like Karina I’m looking forward to MM’s tricks this year. love the candies! maybe a candy cane for christmas would be next! I wonder what you’re up to this time…:) looking forward to your upcoming posts, MM. Oh, such beautiful colors! The lollipops are expensive here.. The trick is to find your house, and I have a suspicion that we are in the same village. So I hope to get to taste one of these. HI MM – have the lollies kept well? Dry in their packages?